Thompson Electric is your local Novato/ Marin County full service electrical contractor. 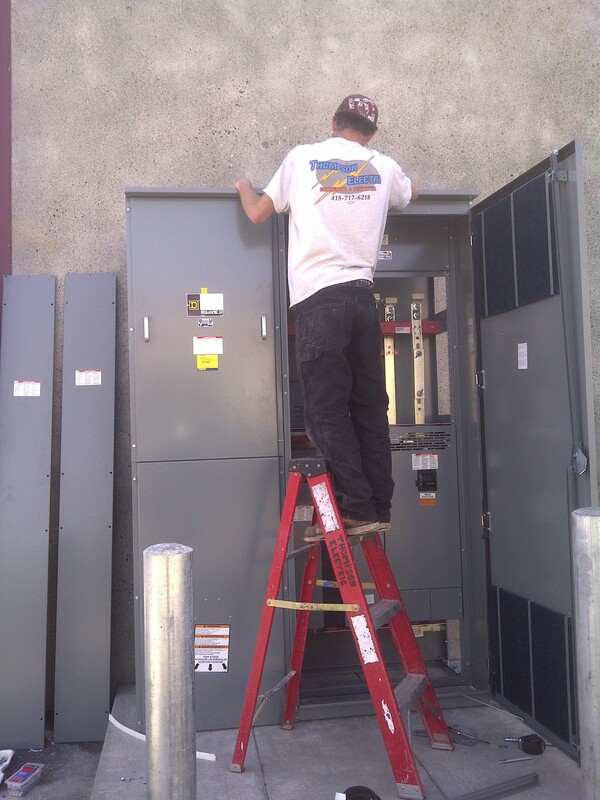 We specialize in all types of commercial and residential electric services, power distribution and lighting. Thompson Electric is 100% employee owned and operated. Tommy Thompson, has over 15 years of experience in all types of commercial and residential applications. We have a great team of well trained, knowledgeable professionals. We have an extremely high regard for quality craftsmanship and customer service. We are a young growing company focused on building long term quality relationships with local customers. We look forward to working with you and appreciate your buisness. Copyright ©2019 Thompson Electric. All Rights Reserved.